This sleek and stylish engagement ring setting Vatche 121 features small round brilliant cut diamonds which are pave-set on the band. 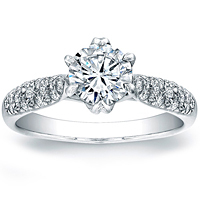 The royal crown setting which holds the center diamond has a striking and unique profile view. This Vatche diamond engagement ring 1002, has round brilliant cut pave set diamonds along the shank and a pave set diamond halo around the center stone of your choice. A stunning modern beauty that always stands out. This beautiful engagement ring setting by Vatche features two baguette shaped side diamonds which total approximately .30ct. 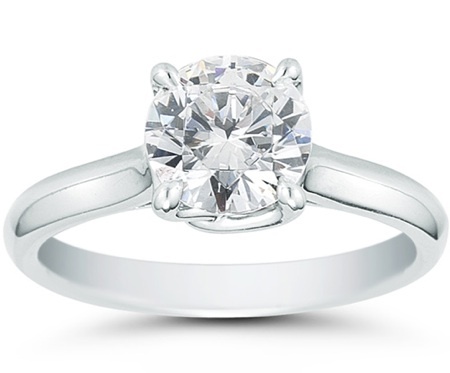 Available in Platinum, 18kt White Gold or 18kt Yellow Gold and can accommodate a round brilliant or fancy shape center stone from .30ct to 1.10ct. 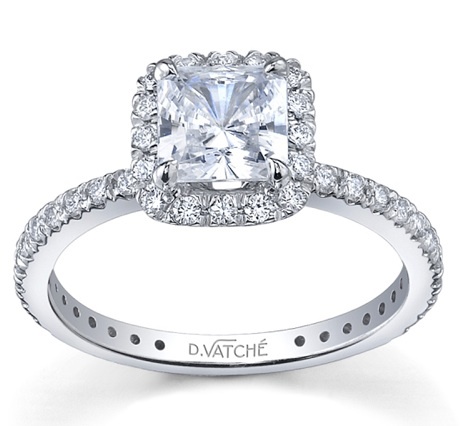 This incredible engagement ring setting by Vatche features pave-set round brilliant cut diamonds surrounding the center diamond as well as on all three sides of the band and basket. A small sizing bar is left polished on the bottom of the band for future size adjustments. 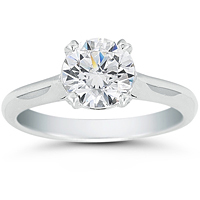 Available in Platinum, 18kt White Gold or 18kt Yellow Gold and can accommodate a round brilliant or fancy shape center stone from .90ct to 6.20ct. This simple yet stylish solitaire engagement ring setting by Vatche and will perfectly show off your choice of a center stone. 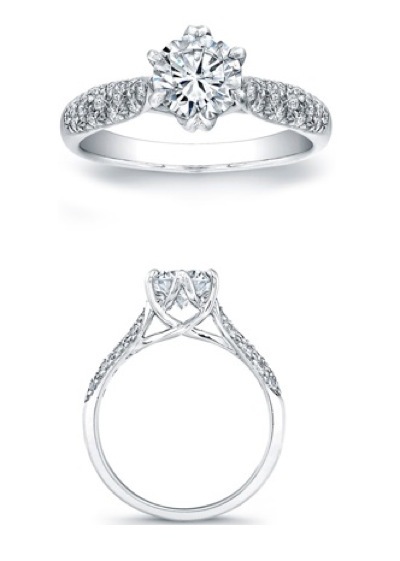 This stylish engagement ring setting by Vatche #V 194 has intertwined prongs with a small round brilliant accent diamond set on either side of the basket. 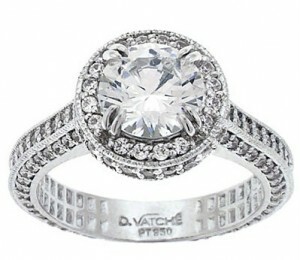 This classic engagement setting by Vatche #V 187 features small pave accent diamonds set on the sides of the basket. Available in Platinum, 18kt White Gold or 18kt Yellow Gold and can accommodate a round brilliant or fancy shape center stone from .40ct to 4.20ct. This sleek stylish engagement ring setting by Vatche #121PP features small round brilliant cut pave set diamonds on the band. 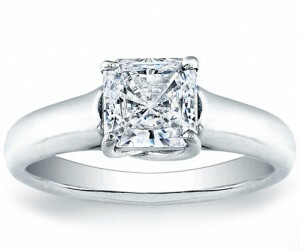 This stylish Vatche Solitaire Engagement Ring #280 features pave set diamonds on all 4 prongs. This simple classic solitaire engagement ring setting by Vatche was designed perfectly to show off your center stone. Available in Platinum, 18kt White Gold, or 18kt Yellow Gold and can accommodate a round brilliant or fancy shape diamond center stone from .40ct to 6.20ct.